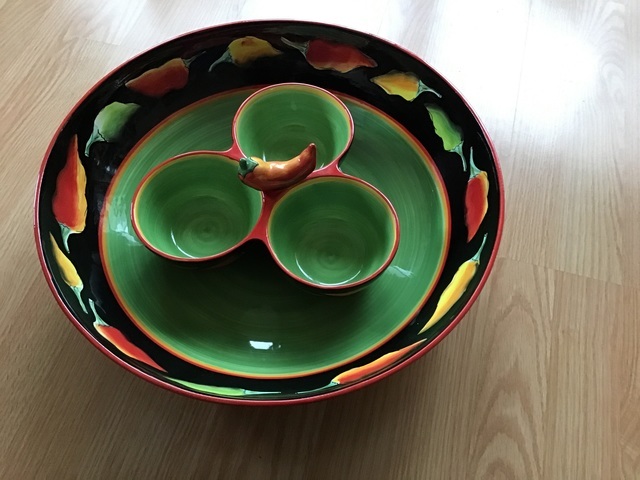 Large Mexican bowl with removable condiment bowls. Only used this once. Smoke free, pet friendly home.